To say that Bob Bradley is a visionary American soccer coach might anger some. And yet today, when it was announced that Bradley would become the head coach of Stabaek of the Norwegian Tippeligaen, there was communal applause in American soccer circles. Bradley had become the first American head coach in a top division European league. Bob Bradley pushed the boundaries of American coaches abroad when he became head coach of the Egyptian national team in 2011. After a successful couple of years and going undefeated in qualifiers, a date with Ghana brought back memories of 2010 when his Team America failed to get past the Ghanaians in the round of sixteen. The team lost 6-1 abroad and won only by 2-1 at home, eliminating them from the competition. Bradley was criticized by many for his ultra-defensive stance, his at-times unyielding 4-4-2, and his ill-fated faith on Jonathan Bornstein and Ricardo Clark. And yet, in the end, he brought much success to the national team. From winning the Gold Cup against Mexico in 2007, to booking a place in South Africa, to their unprovable win versus Spain at the Confederations Cup, to his come-from-behind games in the World Cup that brought the team to the round of 16. Certainly, although his methods seemed odd at times, he had brilliant strategies for facing top teams like Mexico, England and Spain. One of the biggest compliments came at the World Cup in South Africa when the manager for the Swiss national team coach credited him for Switzerland's victory over Spain in the opening game of their group. So now Bradley embarks on another adventure as a coach in Europe. Sure, he and so many others would have hoped that he would land in England for a Premier League team or a Championship side. But Stabaek is a good fit for him. An up-and-coming squad with potential. Bradley did always coach the underdogs and it fits him well. 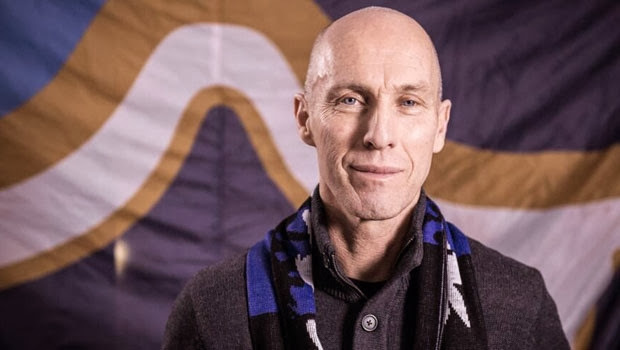 Bob Bradley's new appointment in Norway goes a long way in elevating the stature of American soccer. This next step in his career opens up opportunity for other up-and-coming coaches like Jason Kreis, Caleb Porter and Mike Petke, among others, who might one day make the jump overseas. America has its own style of football now and it's making waves abroad. That's why Bob Bradley is a trailblazer and a path to the future.